As a lover of a tipple and good company it's unsurprising that the Gastropub is one of my favourite cuisines. The laid back atmosphere, unassuming dishes and conversation friendly layouts make the perfect night out with a mate or 10. Sydney has recently had a rash of Gastropubs and small boozey venues pop up after a change in the alcohol licencing laws favouring smaller venues. Le Pub is the French bistro gastropub offering by the same people who run the Bavarian Beer Cafe and brings with it the same professional air. Matchings for both the beer and wine drinker are provided with each dish on the menu. 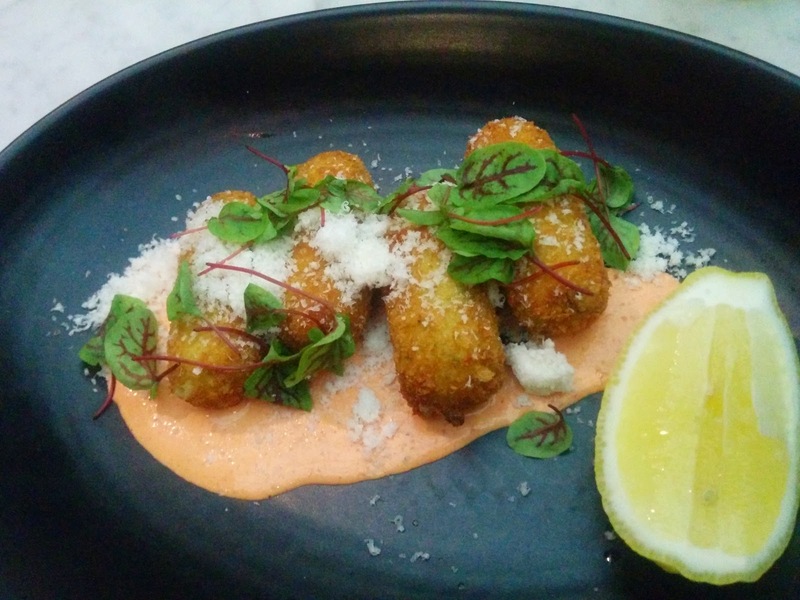 Pea, mint and gruyere mash is breaded and fried served with a red pepper mayonnaise and lemon wedges. This kind of fried snack is just what you want with pints of good beer. 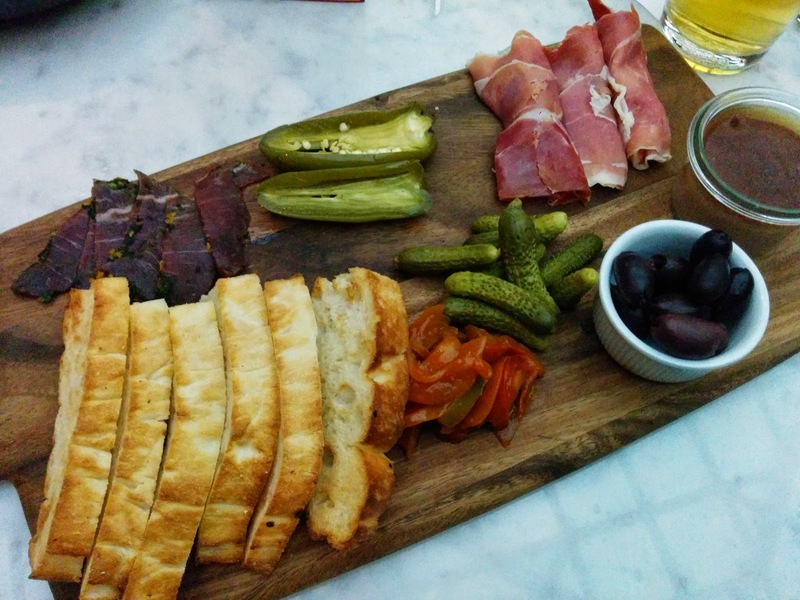 Pickles and charcuterie are two of my favourite things and I find the nibbly nature of platters like this just perfect with drinks and good conversation. The size is shareable for 2 or absolutely indulgent for 1. Offerings seem to vary based on what's in the larder as any good assiette will. This came with duck rillettes, cured beef, iberico ham, cornichones, olives and crusty sourdough bread. 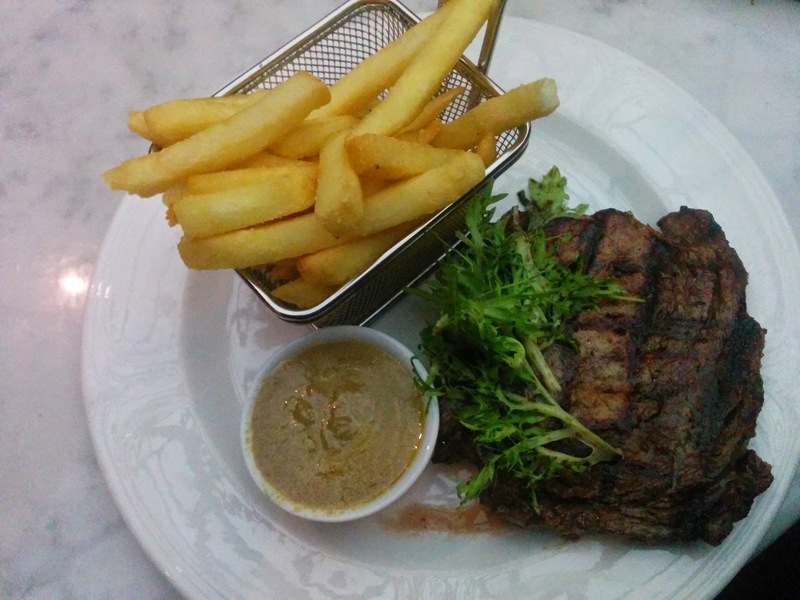 Good quality Gippsland Australian beef is cooked to your liking and served with a choice of sauces. I order Cafe de Paris butter whenever it can be found but other classic French sauces like Bearnaise, Mushroom and Pepper sauce were also available. Crisp but soft fries are just perfect, though the basket for each person was probably overkill. 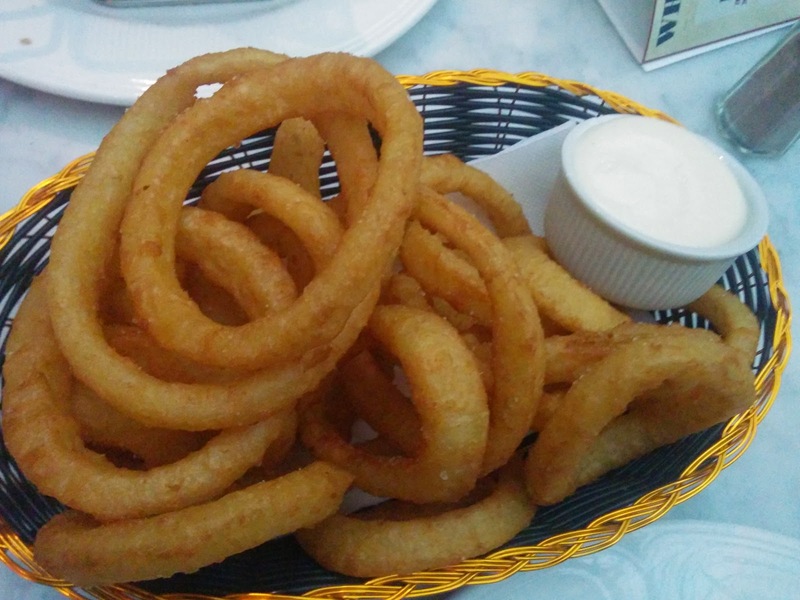 More fried snacks are just what the doctor ordered after a few pints, light crisp battered onion rings are just delicious. The batter is a super light beer and corn flour affair that goes wonderfully with the lemony aioli. If you have room for dessert there's a number of great classic options like Creme Brulee, Tarte au Chocolat, Mousse d'Orange or cheese plates. 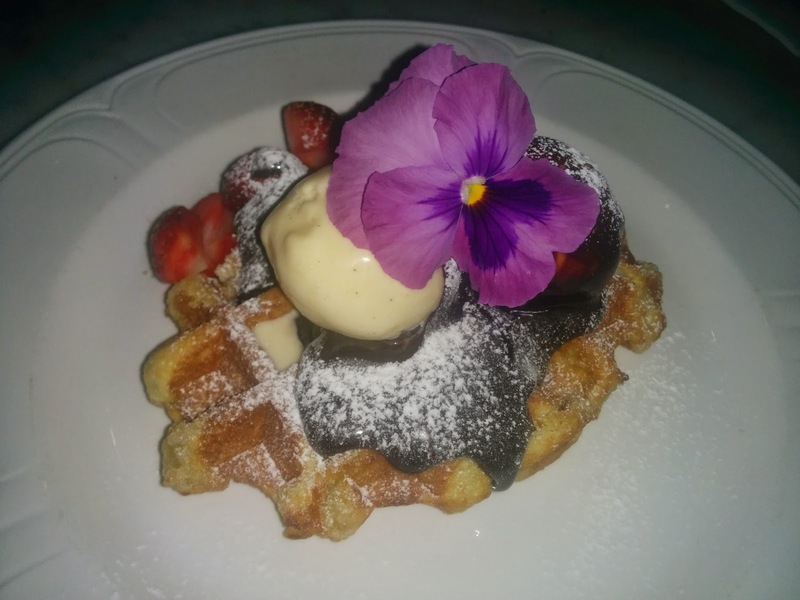 For me though the only option had to be the Belgian style waffle dripping in chocolate sauce, hazelnuts and rich vanilla bean ice cream. As a semi regular business traveller to Sydney Le Pub offers the perfect venue for 1 on 1 meetings and team outings. Reasonably priced food, table service drinks, sheltered tables perfect for chatting and stumbling distance from CBD offices and hotels. There is one major flaw in this venue though, and I hope in part that this will go away over time. The service was terrible; sure they were attentive and my food was on point but the staff didn't know the menu or in fact anything about French food. Both myself and my companion were left blinking a number of times after comments were made like "what sauce did you want with the steak au poivre?" and "did you want fries with that steak frittes?" I suspect that the servers were chosen for their looks and not their intellects - hopefully the management realise that this was a mistake and institute better training or better staff.